1. Determine what your blog article is about. Each blog article you write for your business blog should support your overall business and the purpose of your blog. If your blog develops ideas on how to fund-raise successfully - because your business is about nonprofit business development - it should not discuss ballroom dancing unless you can make a distinct connection between ballroom dancing and fundraising. Similarly, each blog article should develop one idea relating to your business. This blog post you are reading is about how to write a blog post or article. It relates to Simple Marketing Now because business blogs are critical to attracting organic traffic to your website. 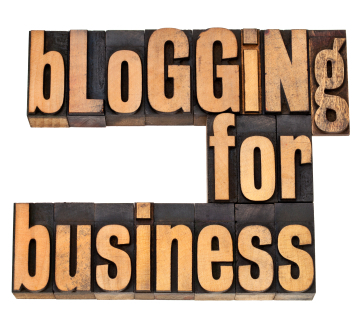 It focuses on just one aspect of business blogging. Once you've identified the article topic, you then know what to address from a technical perspective: include the topic in the article URL, weave it naturally into your content and include it in the meta description snippet that summarizes your article. For this article, notice how the topic [or keyword search term] appears in the article title, in a section header as well as in the URL of this post and the meta description. Be specific and focused with your topic. An anchor image is the primary image that gets associated with your individual article. It reinforces what your article is about. Don't ever publish an article without at least this one image. I find it just about impossible to write without identifying a relevant image or photo first. 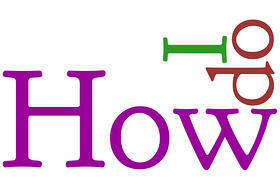 For this blog post, I'm using the logo created for the How Do I social media marketing series. You can use your own photos, create graphics via Canva (I'm a big fan! ), purchase royalty-free images from sites such as iStock, Shutterstock and others and/or subscribe to photo sharing networks such as Twenty20. You may find photos with Creative Commons licenses on Flickr, too. Never just lift an image from another blog or website unless you have permission. If you don't, you may be fined. When you are writing a blog article, don't skimp on article length. If you can't find enough to say, you may not have enough to publish a decent blog post. Gone are the days when you could publish short and sweet updates and generate traffic. When this article originally published in 2011, best practices called for approximately 300 word blog articles [or between 200 to 400 words]. Now, they trend between 600 to 1250, with top ranking articles being easily 2500+ words in length. The reason? Quality trumps poor content competition. It's difficult to fake relevance and knowledge in a longer article while generating interest and engagement. And it's much easier to differentiate yourself from short drivel. However, it still means you need to write a blog article that is interesting, well-organized and relevant to your audience. 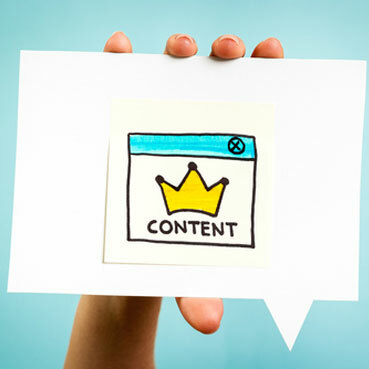 Many business blog articles make the mistake of not connecting interally to deeper business content pages and externally to relevant and corroborating resources. Doing so adds context and meaning for your blog readers. Not doing so makes for an article that dangles without purpose in digital space. Depending on your business and your industry, you may or may not have many comments left on your blog. However, unlike the rest of your website, your blog is the ideal place for conversation and comments. The tone tends to be more casual and the topics can often be improved up given contributions from readers. This article, for example, originally highlighted 13 tips. Thanks to comments, it now includes 15. Consider, then, including a conversation generator at the end of each article that invites questions or comments from your readers. Remember that your business blog serves a critical business function: it is a publishing platform meant to attract organic traffic to your site. Once you attract that traffic, you have an opportunity to generate leads. That's why your blog needs to include Calls to Action (CTAs) to drive prospects to your lead generation offers in the form of links and buttons. Notice that this blog includes CTA buttons in the sidebar and a specific blog writing kit that supports the topic "how to write a blog article." When writing your article, don't forget to include plenty of white space. Break thoughts into separate paragraphs. Add headers and subheaders to organize chunks of information. In other words, aerate your content. Organize it logically, in a way that makes sense to your readers. Break it into pieces so it can be easily digested. Remember that many will consume your content on mobile devices. What looks digestible on a desktop can easily look dense and daunting on a smart phone. 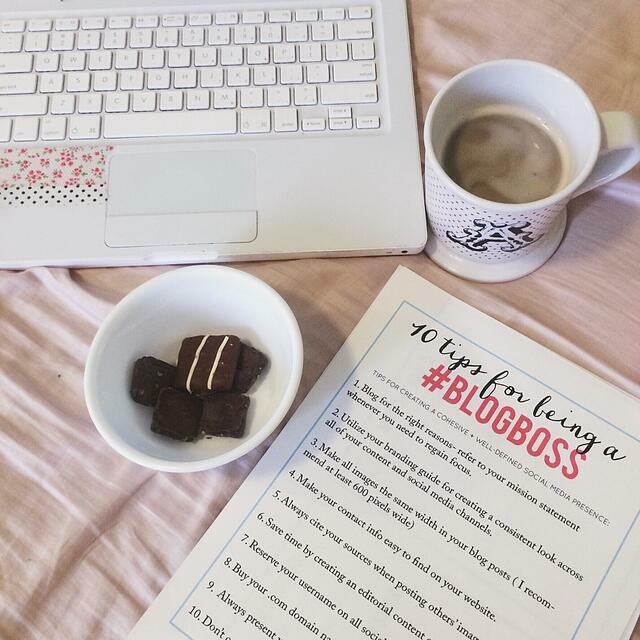 Tip #1 mentioned that each blog article you write should support your overall business and the purpose of your blog. As such, your blog content should fall into one of several topic buckets or categories to help organize your stories. Just as a newspaper or magazine organizes its columns into features, interviews and industry news, so too should your business blog. These can be searched on at the end of an article or even in the blog sidebar. Depending on your blogging platform, you may also include tags so readers can easily find related blog articles. 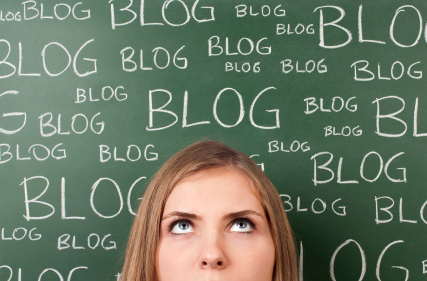 Think of your business blog as your business' own publishing platform or digital publication. Just as with a publication, unless you publish blog content regularly and consistently, you will have difficulty building awareness, traffic, subscribers and credibility. Be prepared, then, to publish your blog articles regularly and consistently according to a schedule. Aim to publish at least once per week. Realize that it takes 24 to 50 articles to generate momentum. This means that you need to determine ahead of time what your content strategy will be and how it cascades into a monthly, weekly and daily plan. 10. Remember, It's About Your Customer! 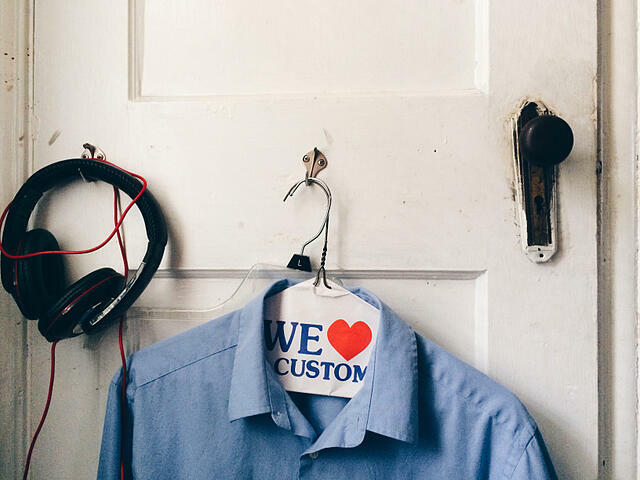 When you think about how to write a blog article, be sure to have your customer in mind. This is not about you and droning on about how wonderful you are! No one really cares. Rather it's about your customers and their issues and how you provide solutions. You're trying to capture readers' attention so they spend time reading your content and getting to know you better which goes hand-in-hand with building trust. Similary, don't play games when you write a blog article and try to stuff in a zillion keywords. Not only is that uncool, way old and useless. It's also plain rude to your readers. Write for people. Write for really special people who might someday become your customer. Be human, approachable, respectful and helpful. Make sense and don't waste anyone's time. Here's the irony. If you don't, the search engine bots and spiders will know. They are smart enough to figure out when you write for people and when you don't. If you are committed to writing and publish unique, standalone blog articles, you won't be tempted to duplicate your content exactly in another article, or another blog or page on your site. If you decide that you need to add on to an existing article at a later date, you might consider unpublishing and republishing it with updated content as I'm doing with this article. The beauty of the blog writing process is that the more you write, the more comfortable you become and the more conversational your tone is. Although it will take you a while to figure out your true blogging 'voice', aim to be conversational when you write. Envision sitting across a table from someone and talking to him or her: you probably wouldn't speak about yourself in the 3rd person or in passive voice, right? Same goes for writing blog articles. "Try to come up with a simple, attention grabbing yet descriptive title (such as "How to Write a Blog Article or Post"). There is a lot of content out there. Your title is your advertisement so make sure tell your readers what they're going to get and then make sure you deliver that to them." Spend time developing different blog article titles. Think how to capture what your article is about, associate it with what someone might be searching on, while also standing out. From a practical perspective, it needs to include your keyword topic. And, although the URL of your article doesn't need to exactly match that title (i.e., the literary title), it does need to relate to it. Finally, do your research. Search on your different article titles; search on your keyword topics. Understand what has already been written on the subject. Can you add meaning? Can you refer to these top ranking resources in your article to make your point? "See if other blog posts have done something similar before you publish and try not to duplicate. Original writing that is useful and entertaining will always stand out." What would you add to this list? Let me know in the comments. Note: This article was originally published on Oct 6, 2011.